Diarrheal disease, a preventable and treatable illness, remains the second-leading cause of death in children under the age of 5 and a persistent public health threat in sub-Saharan Africa. Researchers have now uncovered how surface water dynamics may increase the vulnerability of dependent populations to diarrheal disease and climate change. 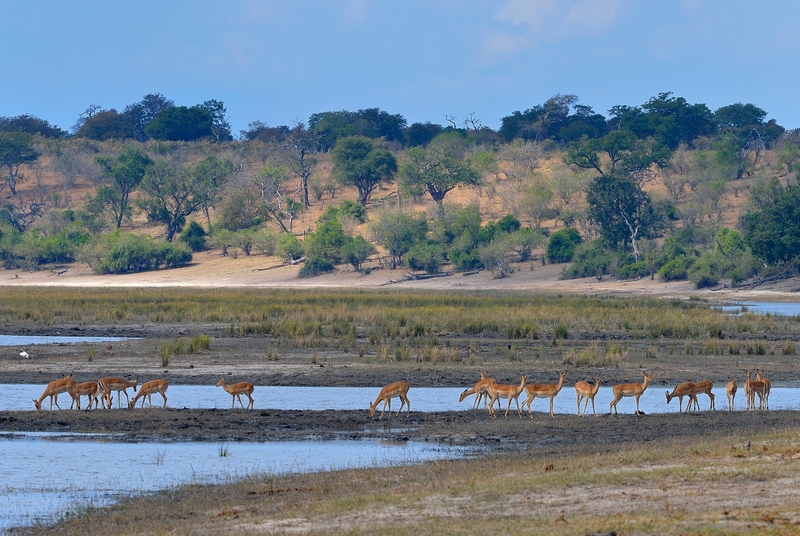 In southern Africa, climate change is predicted to intensify hydrological variability and the frequency of extreme events, such as drought and floods, suggesting that dependent populations will be more vulnerable to waterborne disease. Caption: The Chobe River flood plain system, like others in Africa, experiences annual floods that are highly variable, both seasonally and from year to year.